Apple has seen the reversal of the fortune with the rapid decline in the sales of the iPads and Mac laptops is last few years. In 2013 these reigned supreme in the schools in US by getting over the dominance of the Windows devices but in 2018 Apple iPads had simply lost its touch. Google Chromebook has made massive inroads in the US classrooms by becoming first choice for the students and Microsoft is also right behind it. Now Chromebook amounts for 60 percent of the devices sold in the US schools while iPads sales are steeply declining for three straight years. But Apple is gearing to bring back the challenge to the Chromebook by bringing a new lineup of cheaper iPads. This Tuesday Apple will be organizing a event focused on the special education which aims towards bringing "new creative ideas for the teachers and students". Industry wide rumors are hinting towards the launch of a low cost iPad at this event costing just about $259. The best thing about this budget iPad is that it will come with the support for a stylus. Apple Pencil support is available for the higher end iPad Pro versions which helps in boosting the productivity to the next level. Some rumors have even suggested that Apple might also release the cheaper budget version of the Macbook but doesn't happen to be the case. It is worth noting that Apple has recently updated its main education website which 17 different devices pictures. Out of these 16 happened to be iPads and jus one Macbook. Furthermore a recent ad carried out by the Apple has asked the users boldly "What is a computer?" which indirectly hinted that the iPad will be the future of the computer in upcoming days. It is worth pointing out that Apple hasn’t had a golden run when it comes making a firm ground in the education segment. It got fined for $4.2 million in Los Angeles 2015 when it failed to provide iPads to the school kids with its lackluster $1 billion program. Apple is a quick learner and has worked towards improving the functionality and features of the iOS and in turn iPad in order to lure the students. In the iOS version 9.3 Apple brought the multi-user support on the iPads and Apple even did away with the notorious Apple ID requirement in order to use the iPads. Thirdly Apple has even worked towards bringing better management tools for the iPads. 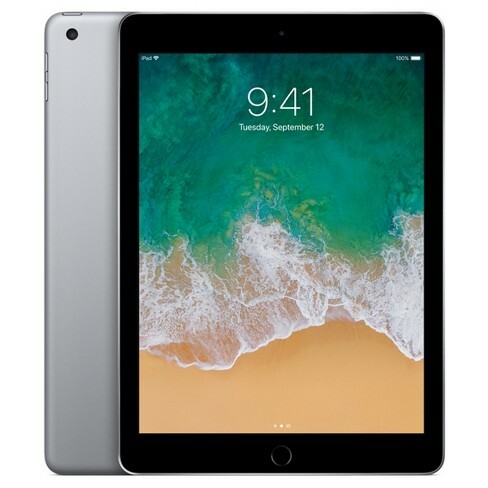 All of these features were aimed towards grabbing the interest of the students and educator and push the sales of the iPads just like earlier days but rise in the iPads pricing has become a detrimental feature. A low cost budget iPad will be a masterstroke from Apple to regain the lost ground and bring a stiff challenge to the Google’s Chromebook.